You probably know someone that is already riding the gluten free bandwagon. Before making the decision to go go gluten-free, it is a good idea to understand exactly what gluten is, how it can affect the body and whether or not you should eliminate it totally from your diet. First of all, what is gluten? Gluten is a broad term for various proteins called prolamin. Each grain has its own specific prolamin. It is the prolamins in wheat, rye and barley that trigger a reaction in some people.Although wheat is the primary issue for people intolerant to gluten, rye and barley have chemical compositions that are similar enough to cause the same reaction in the body. 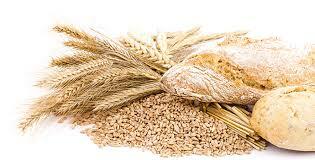 Other prolamins, like those in oats, corn, sorghum and rice don’t usually affect people who are intolerant to gluten. For people who are highly reactive to gluten, may have negative responses to oats. For the majority of people, gluten is nothing to worry about. For some, gluten can cause big problems. The difference between those who cannot digest gluten and those who can basically boils down to the immune system. In gluten-sensitive individuals, the body considers gluten to be a harmful invader and mounts an immune response when gluten is ingested. In those individuals that cannot tolerate gluten, the immune system thinks gluten is an invader and attacks it like it would any other harmful substance. An individual with celiac disease will become more and more ill with each exposure to gluten. After ingesting gluten, many experience immediate symptoms such as diarrhea, vomiting, abdominal pain, bloating and constipation. Extraintestinal systems like hives, itching and swelling may also occur. If a person with celiac disease follows a well-balanced diet, but continues to eat gluten, they can become dangerously deficient in vitamins and minerals like iron, folate, vitamin d and vitamin k because they are unable to absorb them. Lack of these nutrients can lead to serious conditions like rickets, hypocalcemia, coagulopathy ,arthritis, anxiety, depression, numbness in legs, arms or fingers and more. This diet is not always easy to follow. 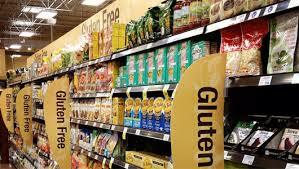 Gluten pops up in many food items you would never guess had it on their ingredient list. It is often used as a thickening agent in soups, sauces, marinades and frozen yogurt. It can be found in flavored products like ice cream or protein shakes. Most food cooked with teriyaki sauce or soy sauce contains gluten. Some vitamins and supplements contain gluten. All beers and many grain alcohols are made from wheat, barley, or rye. Even beauty products and lotion can have gluten. If you think you may be gluten-sensitive, be sure to first speak with your doctor and learn more about the condition. Don’t hop on the bandwagon without proper information. To avoid gluten entirely, it is important to seek proper education, talk with your doctor, and check food labels and menus for allergen information.3 If you’re not completely sure, don’t eat it or use it.